New Plymouth’s early Anglican community had a vision of installing its own bishop within a Diocese of Taranaki, but war and the passing of time got in the way. Now the vision ahs evolved into something new: the present structure operates like a catamaran, with two bishops, two dioceses, and two regions working together. In October 1842 Bishop Selwyn established an Anglican presence in Taranaki, obtaining a Crown grant for the land on which the Taranaki Cathedral Church of St Mary’s now stands. The Tarnaki Wars and the unsettled development of Taranaki delayed this dream, but in 1913 Archdeacon Cole set up a bishop endowment fund, and in 1922 other trust funds begun by Govett were added. Then came a setback. Taranaki’s central and northern parishes were added to the Diocese of Waikato after it was separated from the Auckland Diocese in 1926. 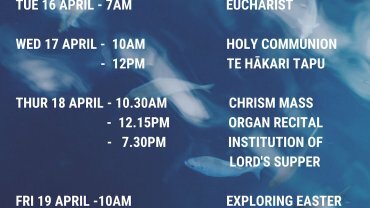 Income from the Taranaki Bishopric fund was directed to Waikato and Taranaki’s southern parishes stayed in the Wellington Diocese. It was another five decades before Archbishop Brian Davis and Bishop Roger Herft explored the idea of a bishop in a unified Taranaki. By now St Mary’s was known as a ‘pro’ or provisional cathedral. In 1996 Archbishop Davis, Bishop Brian Carrell and Bishop David Moxon created a Taranaki Commission, and unification became a possibility. 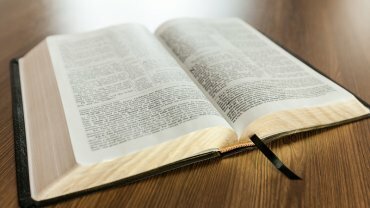 General Synod approved the boundary changes in 1998 as well as the creation of a Bishop in Taranaki within the Waikato Diocese. The Reverend Canon Philip Richardson was appointed the first Bishop in Taranaki in 1999. At the time he was Warden of Selwyn College at Otago University in Dunedin. To prepare the way for the new bishop, a Taranaki Cross made of locally milled timber from the old St Cuthbert’s church in Manaia was taken to every church around the mountain. This ‘Cross of Love, Prayer and Unity’, was seen, touched and blessed by people who gathered to pray together and share the Eucharist. On 10 July 1999, after being blessed, it was ‘housed’ at St Mary’s. A simple Episcopal cross was made from the same timber. 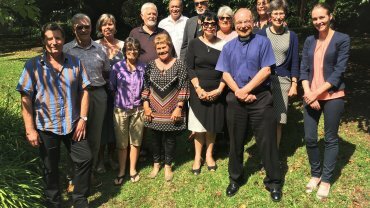 A new development came in 2008 when the Waikato Diocese proposed to the General Synod the creation of two bishoprics in the same diocese: a Bishop of Waikato and a Bishop of Taranaki. Nowadays, each bishop licenses clergy and lay ministers in his own jurisdiction and each bishop is Vicar-General to the other. Both bishops chair the Standing Committee of the Synod, the Board of Nomination, the Examining Chaplains, the Schools Board and the Episcopal Ministry Group. This arrangement brings a wider network of resources and people. The role of the Bishopric of Taranaki realises - to a significant extent - the original 1842 vision of Bishop Selwyn. But the job is a little different: It encompasses Anglicans across a third of the North Island, not just those in Taranaki. On 6 March 2010 the Church was consecrated as the Taranaki Cathedral Church of St Mary, reflecting the role it has in relation to the ministry of the Bishop of Taranaki and that it is called to be a sacred place for all the people of Taranaki. The Most Reverend Philip Richardson was appointed Archbishop of the New Zealand Dioceses from 1 May 2013. In February 2014 The Right Reverend Dr Helen-Ann Hartley became the 7th Bishop of Waikato, replacing David Moxon who had been both Bishop of Waikato and Archbishop of the New Zealand Dioceses.